I have shared a number of posts about me in the past, and here is yet another! 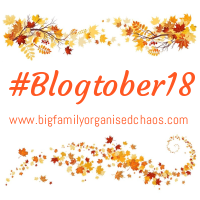 Back in 2016 when I first joined in Blogtober I shared a quick post about who I am from hair colour and eye colour to marital status. Now I’m going to share ten quick facts about me. I am absolutely terrified of fluttering creatures. That includes moths, butterflies and to some extent birds too if they come too close. I have no idea why but they just freak me out. I have twelve piercings and six tattoos… and would love more! I have already planned out my new tattoos, although at the moment my money is better spent on other more important priorities. My favourite animals are horses, of all shapes and sizes! I love to ride and spend hours each week at my local stables when I was younger just to be around them! I am a dog person but I have two cats. Yeah, I know, it doesn’t make much sense, however it is true. I grew up with dogs as pets as my grandparents and parents had dogs. However cats are easier to care for and John grew up with cats and so we ended up with cats! I was accepted on a course at Kings College London to study English. However I took a gap year and decided I liked earning money and working on my career more than the idea of going to uni and ending up in debt. Plus I met John! I have always found baking to be both therapeutic and fun to do. Plus it saves money on buying snacks. Although I don’t get much time to read these days, I love to bury myself in a good book. There is something wonderful about the colours of reds, oranges and yellows during the autumn months, plus it’s one step closer to my favourite time of year! All I ever wanted was to get married and have children. When I was younger these were my two main goals for when I grew up, and I seem to have succeeded in these! My favourite time of year is Christmas. If you haven’t had a chance yet, be sure to head over and read the post I wrote last year about decorating my home. It’s earned me the nickname “Mama Christmas” and if you read it you’ll find out why.